The POS-X TP4 TouchPC Tru-Flat boasts an Atom D525 1.8GHz Dual Core chipset and more than doubles the processing power of the commonly used N270 Atom chipset by adding a second on-die CPU, faster core speed, and utilizing faster DDR3 RAM. The TP4 TouchPC Tru-Flat also has an IP54 rated fanless design and is resistant to internal dust build up as well as splashing water. The TP4 TouchPC Tru-Flat has been built to withstand the environments where non-IP rated hardware would eventually fail. 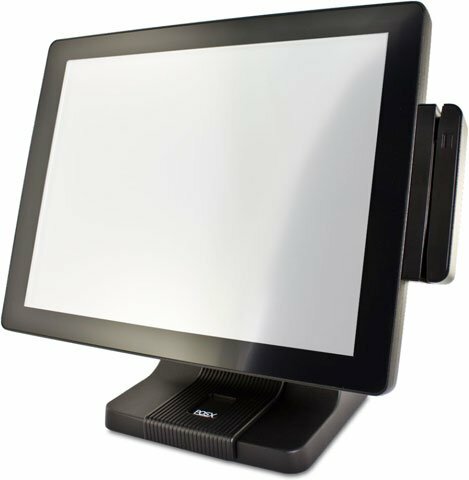 The all-metal frame extends from the body through the stand, providing smooth bump-free touch operation. The POS-X EVO-TP4C-34H2 is also known as POSX	PXI-EVO-TP4C-34H2	or EVOTP4C34H2	.